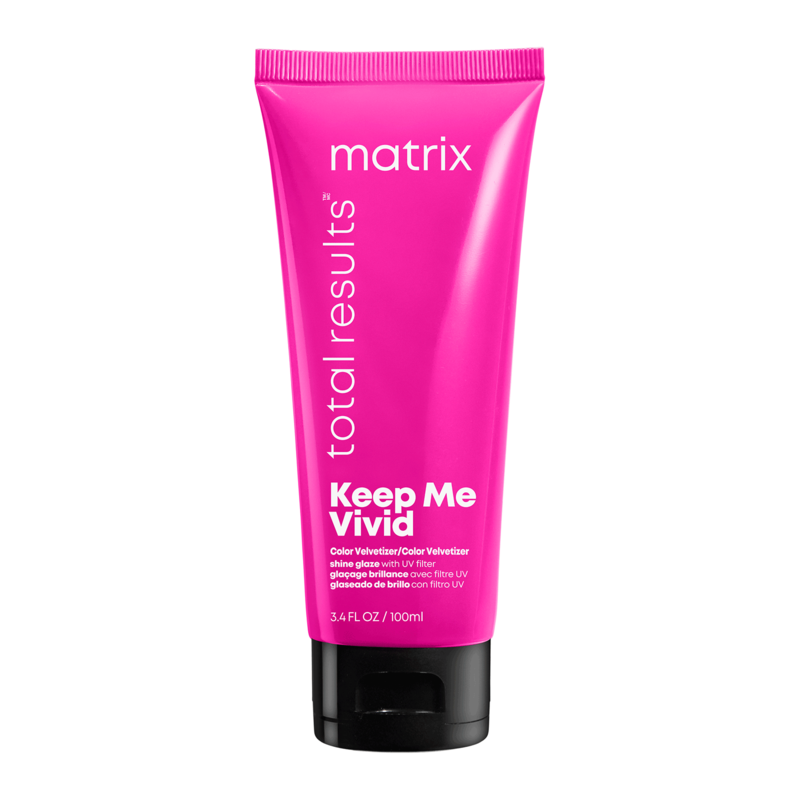 Total Results Keep Me Vivid Conditioner with Pearl Infusion for color glazing and high maintenance-colors. Start vivid and stay vivid against the 7 signs of color withdrawal. 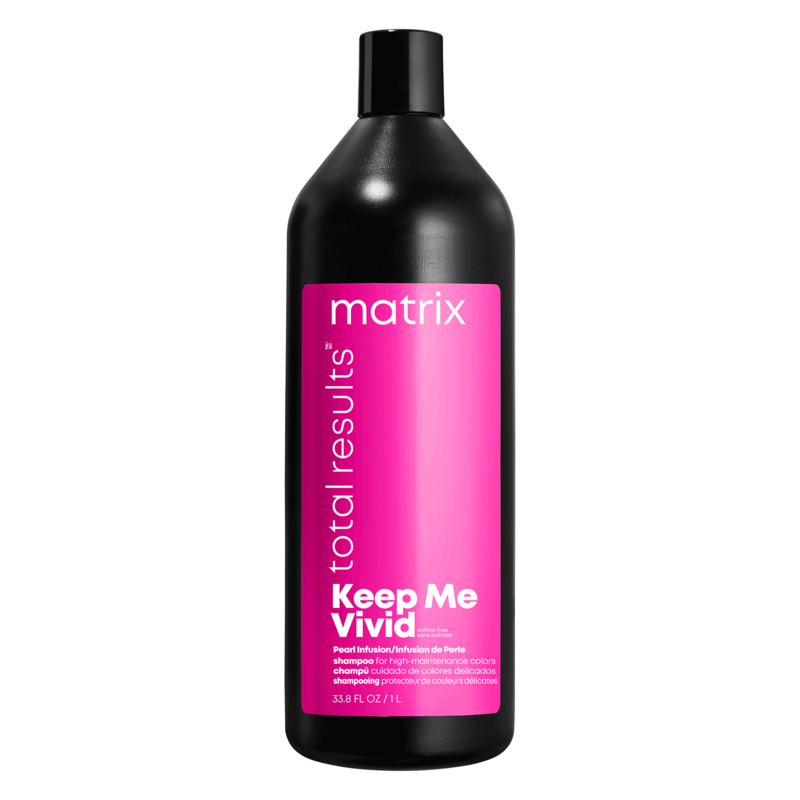 Total Results Keep Me Vivid Velvetizer Leave-In instantly smoothes strands and boots shine before styling.Start vivid and stay vivid against the 7 signs of color withdrawal. 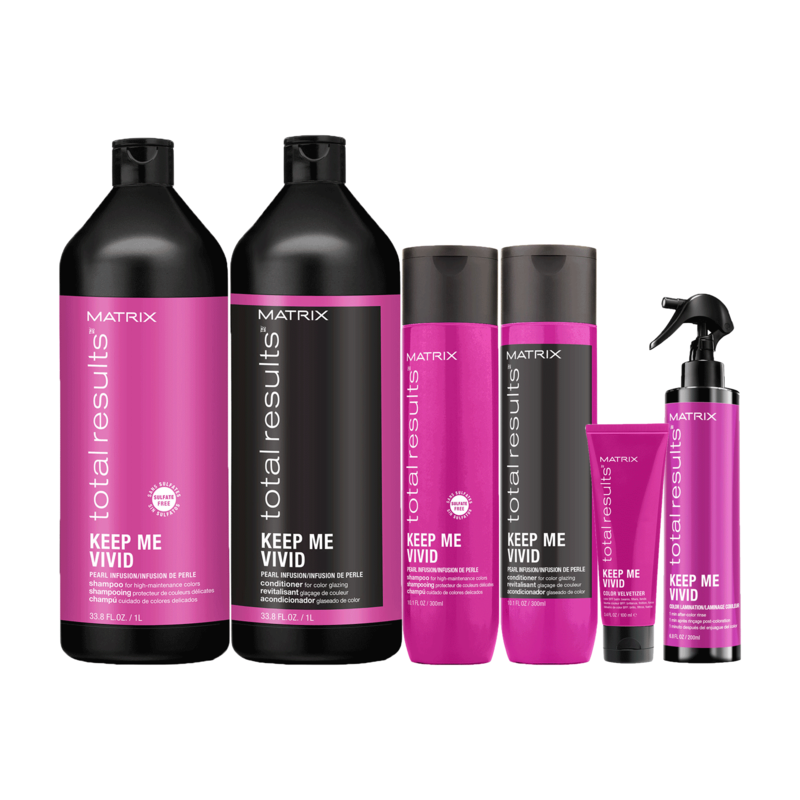 Total Results Keep Me Vivid Shampoo with Pearl Infusion for high-maintenance colors. Start vivid and stay vivid against the 7 signs of color withdrawal. 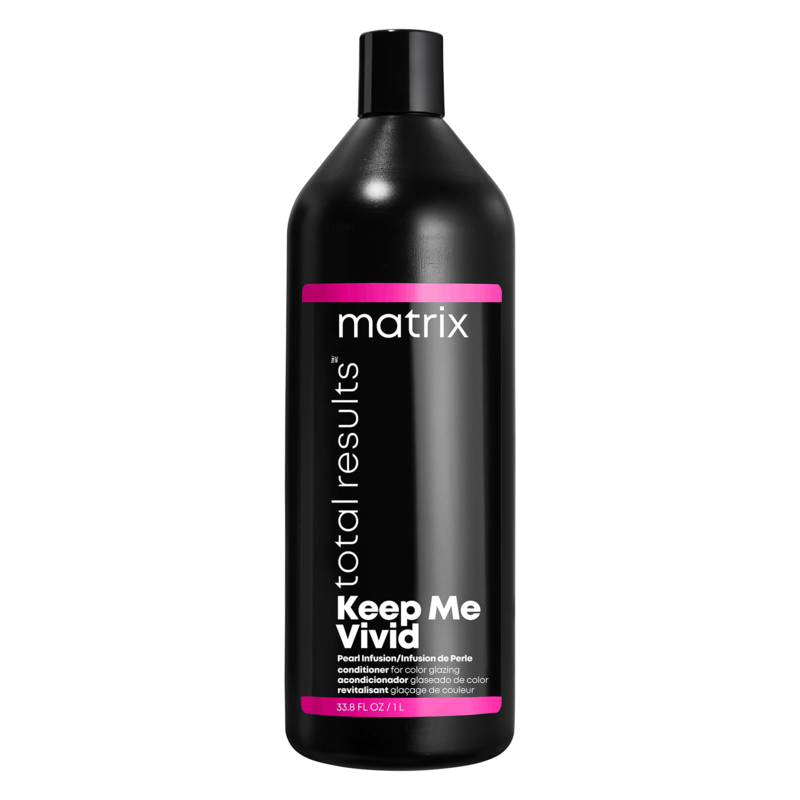 Total Results Keep Me Vivid Color Lamination Spray Locks in Color for professional and retail post color application. Instantly laminates color into the hair cuticle and works to seal-in haircolor directly after a color service to prevent fading and enhance shine.